This week has been a bit of a struggle to do something that I would be happy to post. I toyed with the idea of doing a Sherlock based piece to mark the final episode of series 2 airing this evening but I wasn't happy with my tests. They were too cartoon-like and not particularly good likenesses. A few nights ago, I spent half an hour or so drawing my hand, trying to build up tones gradually. Two things came out of the exercise. Firstly, my shading needs a lot of work and secondly, my depiction of basic form isn't quite as good as it could be. 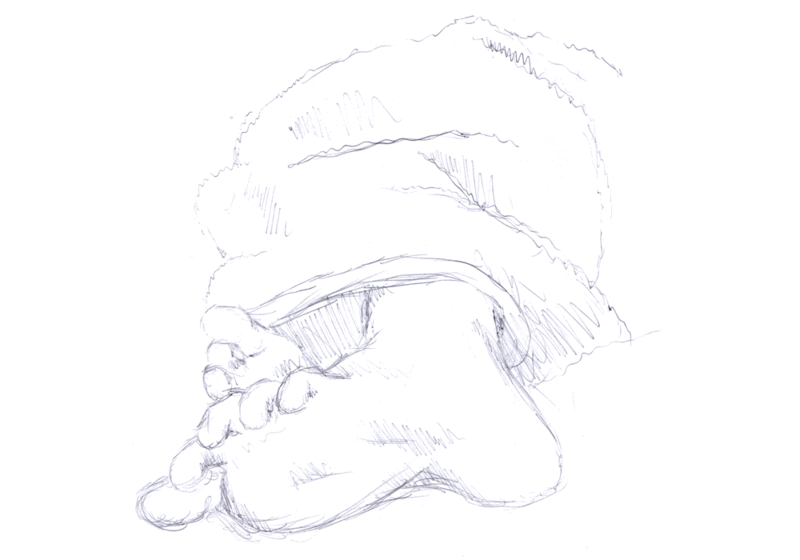 With that, here is a quick study I did of Luisa's feet from where I was sitting on the couch. I think for the next few weeks, I'll be making similar pieces. I can draw cartoons pretty easily but when it comes to realism, I need to learn to crawl before I can walk.